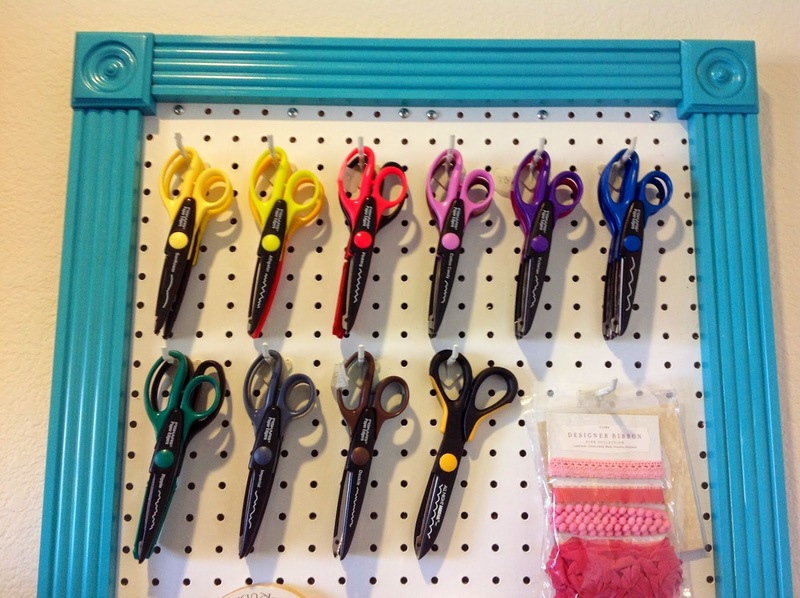 My decorative scissors, all neatly lined up. CTMH paper samples to use for cards, and some random packaged items that I would like to use up. 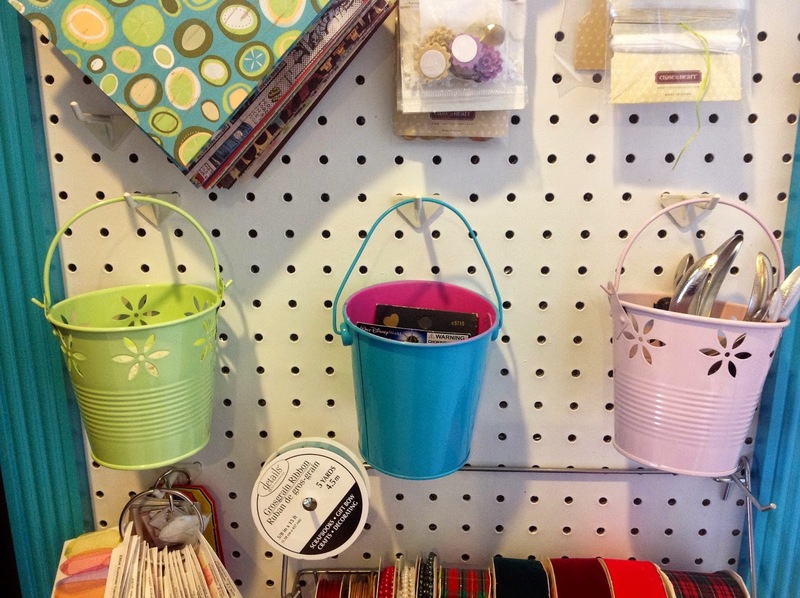 Over-sized ribbon spools which did not fit in my ribbon holder, crafting tools, and glitter (hiding in the green bucket). 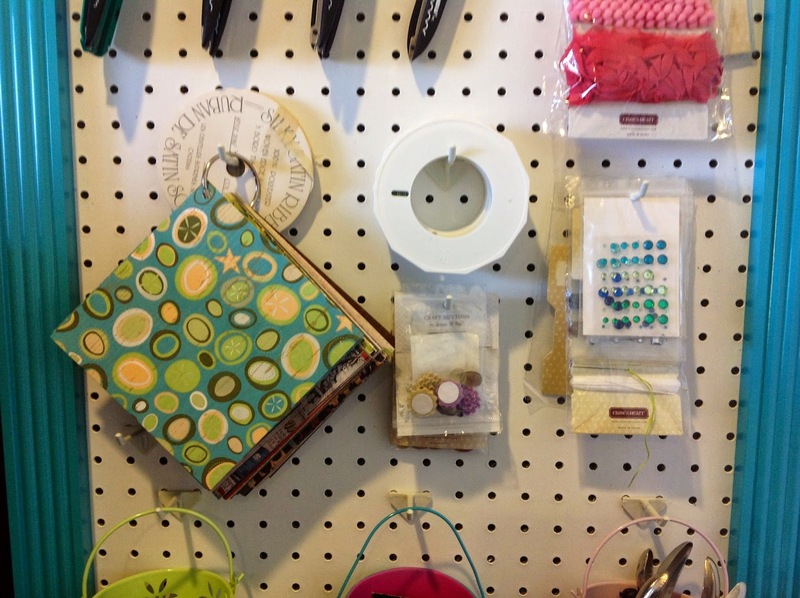 Over all, I am very happy with the way the pegboard turned out! I may switch it around again soon, but it works for me the way it is right now. 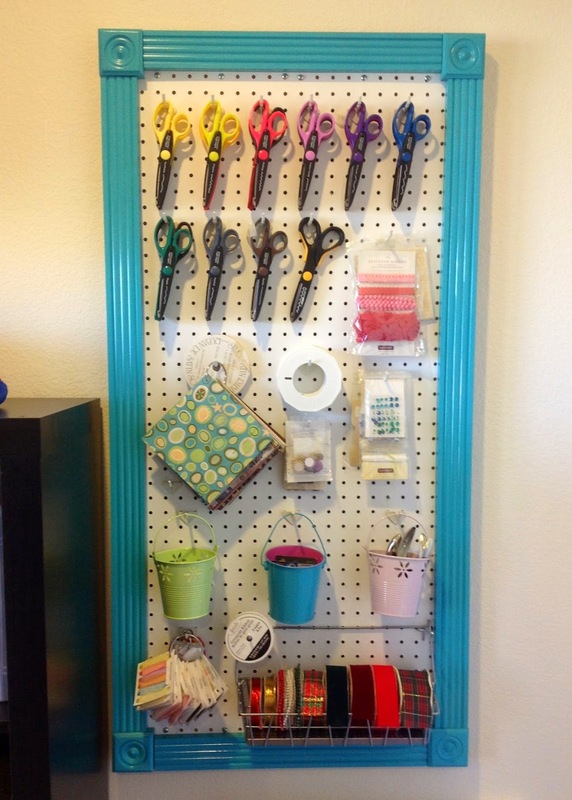 This project was fairly simple to create and adds a nice touch to my craft space. Oh yeah, I forgot to mention that it sits on the wall behind a door. It is a good use of the small space that I had left on the wall, after my craft furniture took up the majority of the space. I definitely want to keep the door closed when I am in the room, so that I can look at this pretty board!